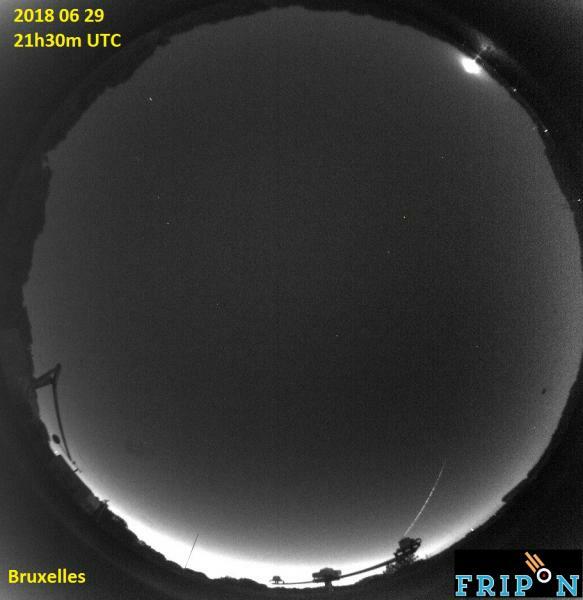 Another bright fireball was captured by the FRIPON camera in Brussels and the newly installed one in Liège on 29 June around 21H30 UT (23H30 local time). You can find additional information on the IMO website. 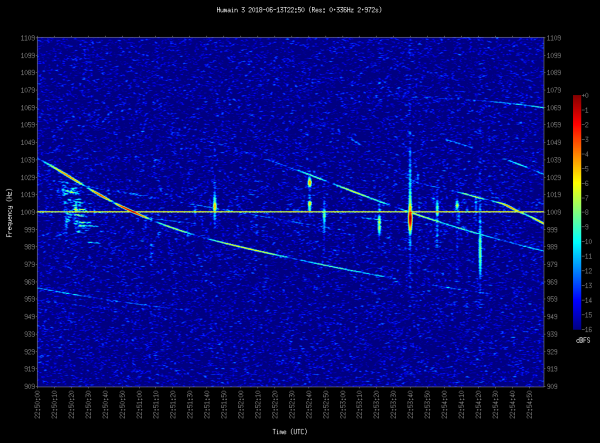 This time, most BRAMS stations were detecting a very nice overdense epsilon-like meteor echo. Only the stations located to the south-east of Belgium (Humain, Tintigny) did not detect it. 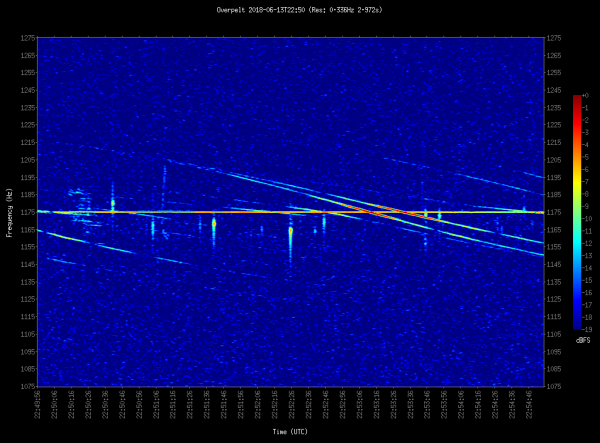 Below you can see the FRIPON detections with the cameras in Uccle and Liège as well as BRAMS spectrograms from Kampenhout and Overpelt (note that the meteor echo occurs to the left of the spectrograms after approximately 30 seconds). 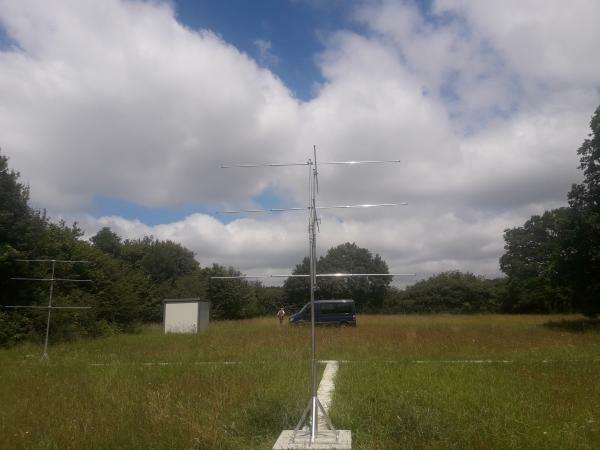 On 25 June 2018, we made some tests resulting in the transmitter being switched on and off several times during the day. First, we made some tests with the power amplifiers that are going to be used for the future BRAMS radar. Second, we also measured how well adapted our crossed dipole is, i.e. we measure the amount of transmitted power reflected at the antenna due to the non-perfect adaptation of each dipole. The measurements are currently analyzed. Very soon we will probably replace the dipoles and small cables. 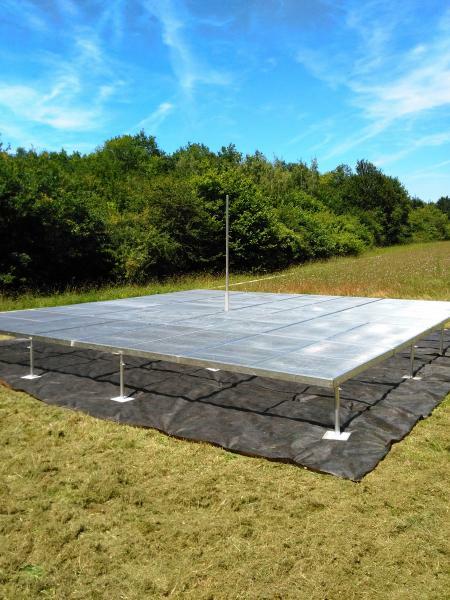 At the same time, our colleagues from the workshop were installing the 8m x 8m metallic grid that will act as the reflector for the future BRAMS radar transmitter. The five antennas for the future interferometric receiving system have also been installed. Below you can see the reflector and two of the antennas (including the central one which is a crossed 3-elements Yagi) of the future interferometer. 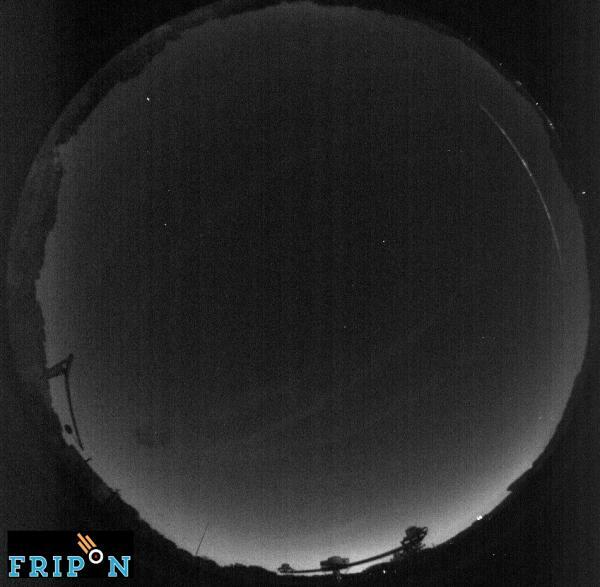 Another bright fireball was captured by the FRIPON camera in Brussels on 16 June around 21H11 UT (23H11 local time). Based on testimonies collected at the IMO website, the object seemed to move from East to West and could have flown above Belgium. 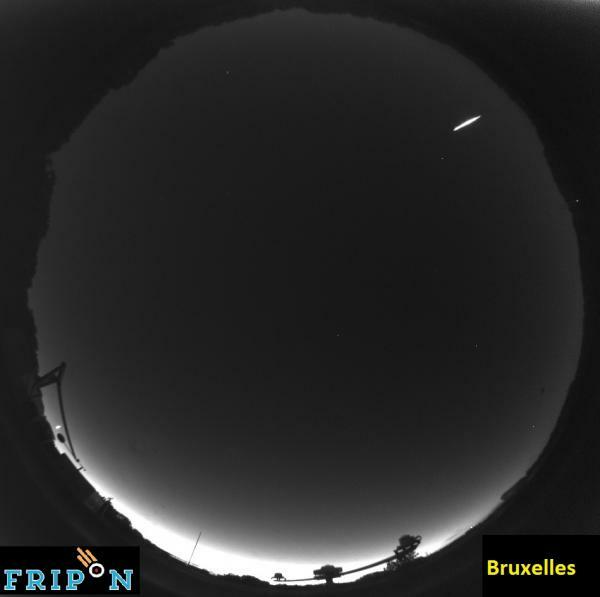 The FRIPON image shows that the object moved to the South-East of Brussels. 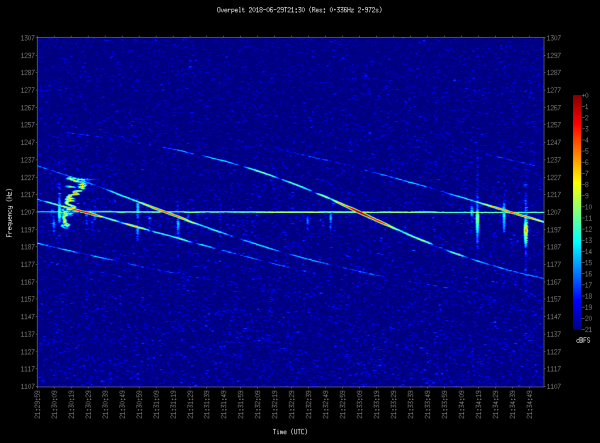 Again, only a few BRAMS stations were able to observe a faint overdense meteor echo. 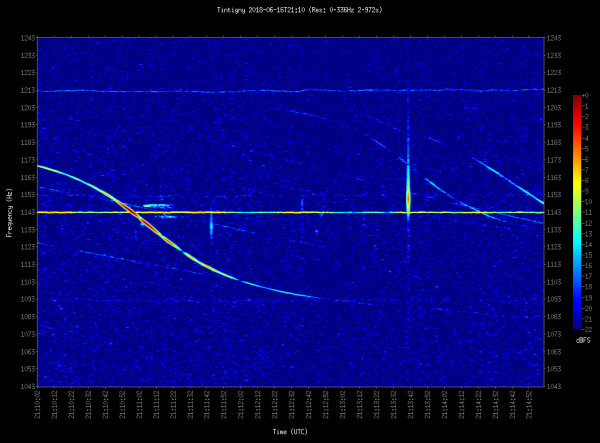 Below you can see the FRIPON detection with the camera in Uccle and spectrograms from Humain and Tintigny. 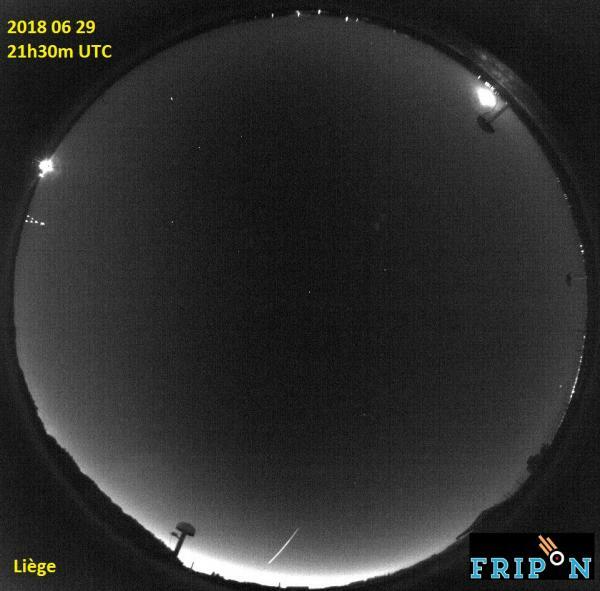 A bright fireball was observed by many people in Belgium on 13 June 2018 at 22:50:21 UT, so around 00H50 on 14 June in local time. The object was captured by the FRIPON camera in Brussels. Based on testimonies collected at the IMO website, the object seemed to move from South to North and flew above West Germany. This is consistent with the FRIPON image obtained in Brussels where the object appears low on the horizon to the East (right of the all-sky image). 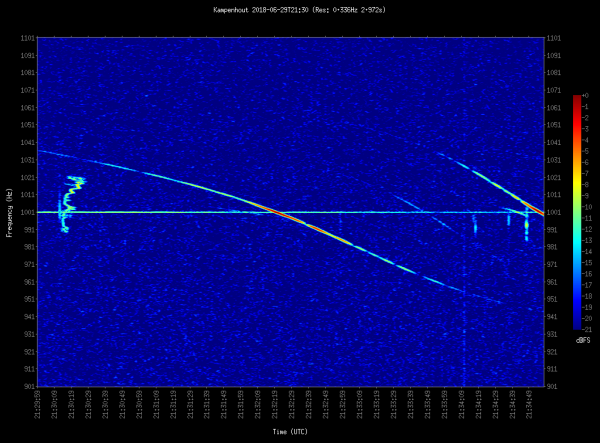 Only a few BRAMS stations were able to observe a faint overdense meteor echo, mostly due to the distance between the object and the transmitter, but also possibly due to the geometry. 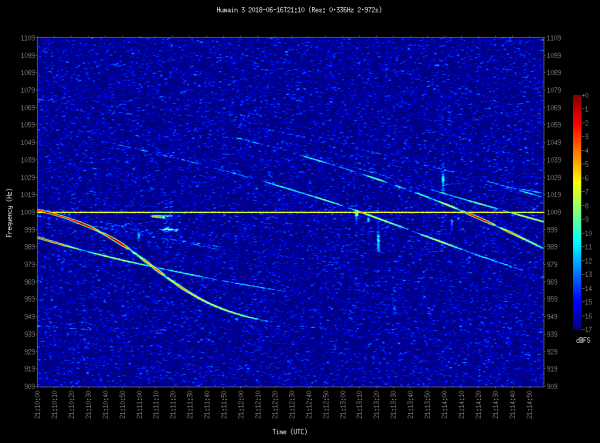 Below you can see the FRIPON detection with the camera in Uccle and spectrograms from Humain and Overpelt (2 stations located quite to the East of Belgium). On Monday April 9, H. Lamy gave a talk on "Study of the Quadrantids 2016 using BRAMS data" during the session "PS2.1/ST1.8 – Small Objects and Dust: Dwarf Planets, Asteroids, Comets, Meteoroids". The presentations and the minutes of the METRO meeting are finally available here.